Marash (Մարաշ, Мараш), a city now in Turkey and called Kahraman-Marash. 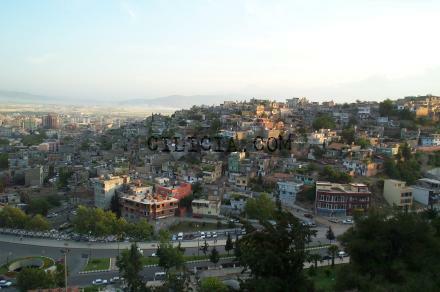 It was also known as Andiok (Անտիոք), Andiok Giligio (Անտիոք Կիլիկիո), Kermanig (Գերմանիկ), Kermaniga (Գերմանիկա), Kernanige (Գերնանիկե), Kermanigi (Գերմանիկի), Kermaniga (Գերմանիկիա), Kermanig-Gesarid Kurkum (Գերմանիկ—Կեսարիտ Գուրգում), Gajramanmarash (Կաճրամանմարաշ), Gara Marash (Կարա Մարաշ), Giligian Andiok (Կիլիկիան Անտիոք), Ghara Marash (Ղարա Մարաշ). Marash is a city in Cilicia (Կիլիկիա), in Adana (Ադանա) state (from 1890 in Haleb state), in Marash region (գավ-), and the administrative center of that region. It is found by the left bank of headwaters of the Chahan River (Ջահան գետ), about 10km east of the banks of the river, at the southern foothills of Akhr (Ախըր) mountain, surrounded by gardens and woods, on hills that formed an amphitheater. In the center of town, on a hill was found the old fortress, a small valley passes through the town, on which there were many bridges made of stone. 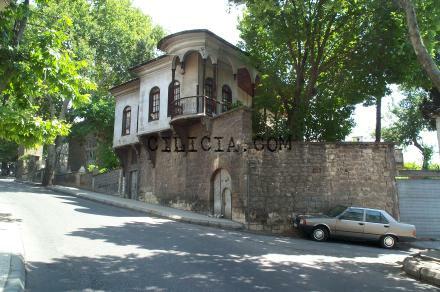 Ձորը Գանլը դերե գետակով, split the city into two neighborhoods, Tul tatuli (Դուլ ղադըլի/Տուլ ղադըլի) and Bayazadli (Պայազատլի). The streets were narrow and dirty. The longest street was Bedestenn (Պետեսթենն), which was covered with arches made of wooden planks. Marash is abundant in water, every house has its own ever-flowing spring. On the Taks Arakelo (Դաքս առաքելո) hill, on both sides are flowing հորդաբուխ springs, which were worked by water mills. In the gorge between this hill and Akhur (Ախըր) Mountain the abundant springs formed the Gurkhkyoz (Կըրխգյոզ) and Halunuskyoz (Յալընըսգյոզ) streams, whose waters irrigated the city's gardens. The Marash Valley, where they grew wheat, rice, cotton, was irrigated by 7 streams.